A HMRC Submission Receipt document which presents HMRC's response to an RTI submission in a clear, readable format is available within the RTI utility. This is a particularly useful document in the event of a dispute over whether a submission has been accepted by HMRC or not. 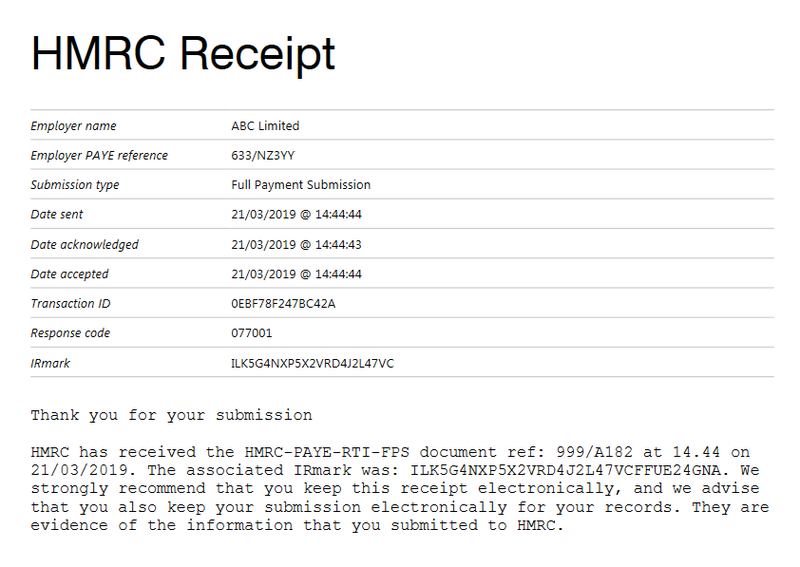 The corresponding HMRC Receipt will be displayed on screen, confirming the details of the submission and HMRC's response. Click Print/ Email/ Export PDF as required.